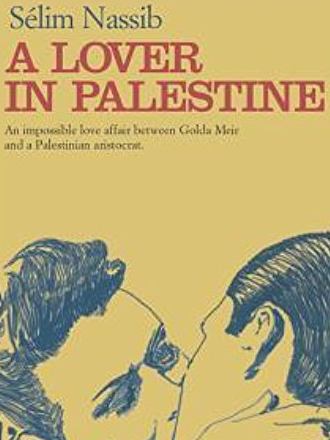 For Selim Nassib, the author of the book “The Palestinian Lover”, the love between the Zionist Pasionaria Golda Meir and the Palestinian businessman Albert Pharaon is almost impossible. This great romance opens to general considerations on the feasibility of finding a solution to the Israeli-Palestinian Conflict. Every lover is a soldier. In love, as in war. All is fair in love and war. Love is a losing game. We could continue mentioning many other sayings borrowed from literature and life that associate love with war. In a similar way, the book written by the Lebanese writer Sélim Nassib in 2004, originally published in French by the Parisian Éditions Robert Laffont, deals with the Israeli-Palestinian conflict through the eyes of two lovers: The pasionaria of Zionism Golda Meir – she is at the center of the political rise of the Jewish community in Palestine and her ideals are so strong and powerfully deployed that she soon becomes the pioneer of the future State of Israel – and the rich and bored Lebanese banker Albert Pharaon, the Palestinian lover. The story takes place between 1920 and 1950, in a prolonged period of time where the reader can sympathize with the protagonists and see the evolution of their dramatic romance, always interlaced with the early history of the birth of the State of Israel. In fact, these are crucial years for the definition of the landscape of the whole area, where current political and sociological assets start to be rooted as we know them today. The secret love between Golda and Albert becomes the mirror for the Palestinian society of the time, blurred by British Mandate and the arrival of hordes of Jews looking for a land for themselves that they could call home. Soon enough, we understand that the almost impossible love between Golda and Albert, as Sélim Nassib himself defines in his prologue, is nothing more than the almost impossible coexistence of European Jews and Arabs in the country. If we go further and state that Nassib’s final point could be that there is no resolution to the Israeli-Palestinian conflict, would it be realistic or cynical? After all, this would be true even today, after years of wars and attempts of negotiation, mediated by the most powerful states on Earth, like the United States of America. Another fact, is that reading the book you are led to naturally empathize with Albert and disregard Golda, even though she is a fascinating character, with great ideals and a strong personality. You can immediately understand that she is devoted to the cause of Zionism more than to the man, albeit she – an Ukrainian Jewish woman, unfaithful wife and mother of two children, who lived in the US and emigrated to Palestine to see the dream of Eretz Yisroel come true in front of her eyes and with her own contribution – will abandon herself to a forbidden love with the “enemy”. As Sélim Nassib later declared , this is apparently the true story of Golda Meir’s secret love with the Lebanese banker Albert Pharaon. This affair – that lasted 20 years – was revealed to Nassib by one his closest friends, who was Pharaon’s grandson. As we all know, Golda Meir is not a fictional character but she was the first stateswoman to be elected as Prime Minister of Israel from 1969 to 1974. For her inflexible temperament, she was assimilated to Margaret Thatcher and called the “Iron Lady” of Israel. On the other hand, what do we know of Albert Pharaon? He was a wealthy and lazy banker from a prestigious Arab family, and passionate about horses. When the secret and captivating affair with Golda begins, he decides to quit his house and leave behind his wife and children, to move to Haifa and live closer to his beloved. At a first glance, Golda’s character overwhelms Albert’s one, and if we go ahead with parallels between the story narrated and the history of Israel, this would suggest that Nassib here is depicting the superior power of Israel over Palestine. However, this doesn’t bring justice to the essence of the relationship between the two characters and to the force of their love, “stronger than they are”. This is a very powerful concept that opens to a world of positive interpretations of life and possibilities for human beings. We started from an almost impossible love, transporting this idea to an almost impossible resolution to the Israeli-Palestinian conflict. Then, we landed on love, the strongest force on Earth, even stronger than human nature. So, what’s the good news? This book opens up to hope. It’s not too late to look for a fair end of the conflict in the area. Love is the strongest force. A great metaphor, isn’t it?